Here is one of my favorite pictures of myself. My wife took snapped it when we were on vacation a couple of years ago. 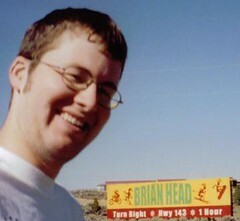 The sign says "Brian Head." Get it?